"I chose Cripe Photography because of their outstanding reputation for high quality photography. My photographer made me very relaxed and comfortable, resulting in amazing natural pictures with unique backgrounds!" "I chose Cripe because they offered both Indoor and Outdoor settings. Before I arrived, I was a little nervous, but once my session started I felt very comfortable." "Cripe made it easy! Their pictures show the real 'me' for who I am. They took the time to find out who I am and made that come through in my pictures. My senior pictures were great!" "Everyone who sees my daughter's photos say, 'She looks like a model!'. I say, "She had a great photographer!" 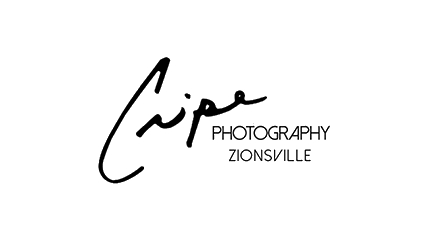 "We chose Cripe because of their reputation, friendly photographers, and their helpful selection process. They know what poses you'll like." "My senior picture experience at Cripe was picture perfect! They turned out fabulous and the selection process was smooth and high-tech... I would recommend Cripe to anybody looking for great photographs and professional service." "My photo session was a lot of fun. I liked the variety of all the poses! I am very happy with how my senior pictures turned out. I would highly recommend Cripe!" "I was completely relaxed and comfortable. My photographers did a great job of setting up different and innovative poses. The portraits turned out great and I don't think I could have found the same quality anywhere else." "Cripe Photography was outstanding all the way through the Senior Portrait process. They were flexible, gave us great suggestions, and were very attentive... everything was top-notch! Thank you for such special treatment." "The staff was extremely professional and they made my experience very pleasant. I was very pleased with the quality of my portraits and so was everyone I gave them to. Thank you!" "After disappointing results at another place, a friend referred us to Cripe Photography. Going there was the best choice we could have made for Senior Portraits. The staff was wonderful. The portraits were wonderful. We had a great experience!"